I know a lot of times I talk to you guys about how we try to live our lives free of harsh chemicals. 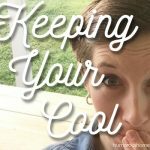 And I also share all about how we try to use products that are safer on the toxicity scale. It’s been about a lengthy process, slowly ridding our home of things that were unsafe and replacing them with better – which is a natural fit with our essential oil lifestyle. But it has taken so long because we did it slowly on purpose. We used a method called transfer buying. 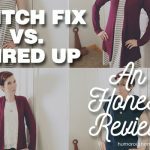 I have been buying thrift shop clothes for several years. I started with Thred Up and I really, really liked it. Then they made some changes and I didn’t like it as much. Feed the people, keep them alive. There are three things I do every single day – even when it’s absolutely insane. 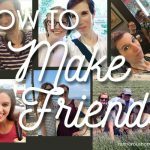 I called these my homemaking anchor tasks. These are things I do so that whenever it’s crazy, I don’t feel overwhelmed and I don’t feel like I’m behind. And once things slow down, I’m able to pick back up the pieces and continue on with life. 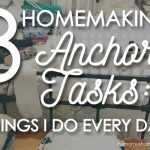 These three homemaking “anchor tasks” are certainly not rocket science. Some of you might even think it’s a waste of a post to write about this. But I feel like its worth sharing because on busy days, these tasks keep me afloat, y’all. Working from home is very common now, but it didn’t used to be! 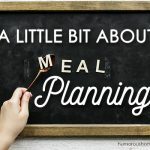 Y’all wanted me to talk about where I find the time to be a work-from-home homeschooling mom who still manages to take care of her home and cook from scratch. For those of you who don’t know, Barry and I have always had an entrepreneurial spirit. 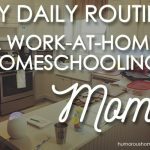 I love to homeschool our kids, keep our home, and cook everything (or almost everything) from scratch. But in addition to that, I am also a Platinum leader with Young Living Essential Oils and Barry and I run Humorous Homemaking together. I get asked ALL the time how I do it all. But the truth is – I don’t! 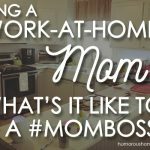 I can’t be 100% a stay at-home mom and 100% working woman. When I first started as a homemaker, my goal was not a healthy laundry routine. My goal was a CHEAP laundry routine. I was looking for the cheapest way to do laundry possible. I didn’t look at ingredients. I didn’t care about brands. All I wanted was cheap laundry detergent that I could buy for rock-bottom prices (usually using coupons). That’s when I realized I could save even more money by making homemade laundry detergent. 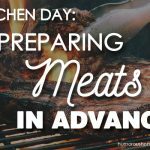 I went thru several different recipes before I found one that worked for us. One of the reasons I tried so many options was because my son Eli has extremely sensitive skin. 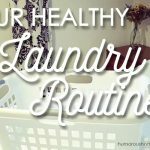 Not only did I want to save money, but I also needed to find a more healthy laundry routine. We have to be so careful because he has a reaction when he gets around anything synthetic, harsh cleaners or chemicals, etc. He couldn’t handle store-bought detergents or even some of the homemade detergent recipes I tried. I finally found one that wasn’t bothering him, but then our washing machine seemed to stop working. Barry decided to take it apart and clean it out to see what the problem was. When he opened it up, I was mortified. I really enjoy being able to be a work-at-home mom.